What does each section of the Lean Business Model mean? 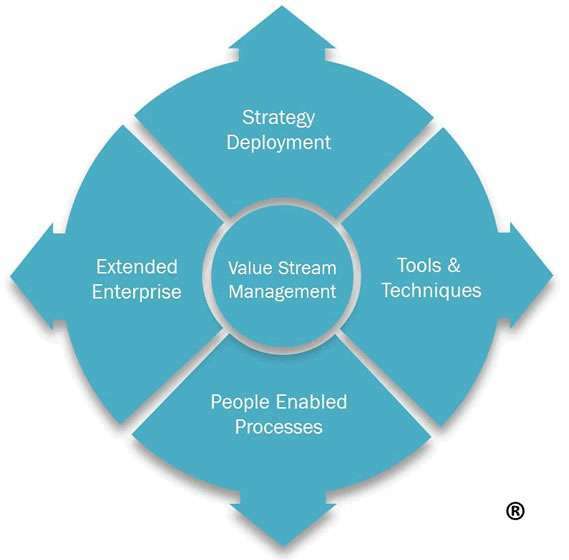 Value Stream Management – Improvement is managed through processes and value streams to deliver outstanding customer value with minimum waste, unevenness & overburden. Strategy Deployment – The vision, goals and strategy are clearly communicated throughout the organisation with key measures, targets and activities appropriately deployed. People Enabled Processes – Accountabilities are clear at all levels and leaders create a culture in which lean dispositions flourish. Extended Enterprise – The organisation develops integrated strategies & trusting relationships with the best external partners to deliver customer. Tools & Techniques – The organisation has a “daily habit” of continuous improvement that uses simple, visual tools and techniques that have been chosen and adapted for effective use.